Nagios Log Server greatly simplifies the process of searching your log data. 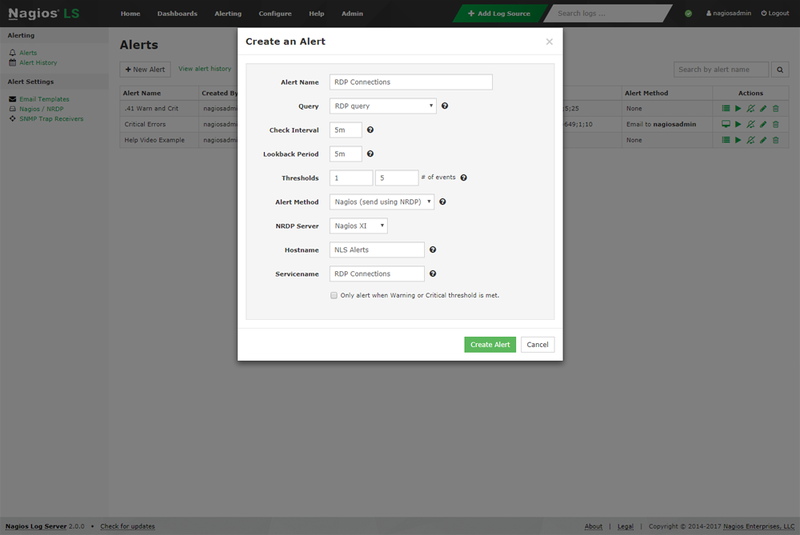 Set up alerts to notify you when potential threats arise, or simply query your log data to quickly audit any system. With Nagios Log Server, you get all of your log data in one location, with high availability and fail-over built right in. Quickly configure your servers to send all log data with easy source setup wizards and start monitoring your logs in minutes. Nagios Log Server can scale to meet the needs of your entire IT infrastructure, so as your organization grows you can easily add additional Nagios Log Server instances to your monitoring cluster. This allows you to quickly add more power, speed, storage, and reliability to your overall log analysis platform. Nagios Log Server is designed for organizations of any size and can adapt with the click of a button. 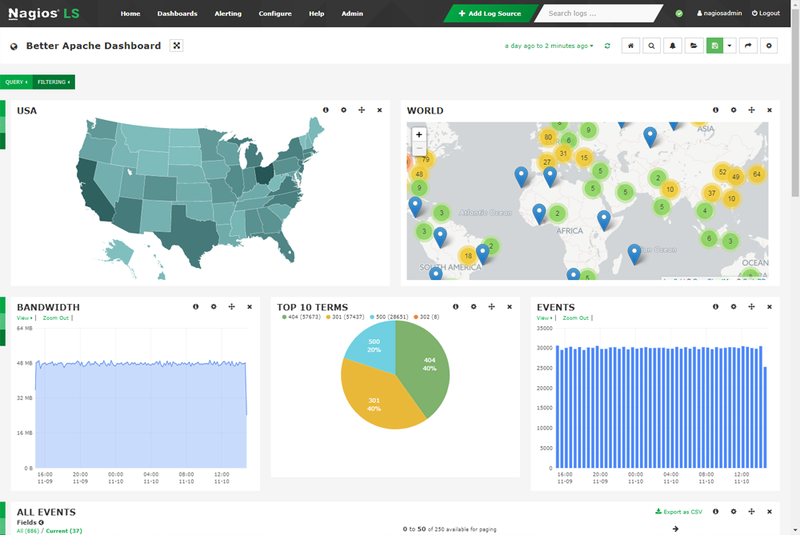 Easily correlate log events across all servers in a few clicks. Nagios Log Server allows you to view log data in real-time, providing the ability to quickly analyze and solve problems as they occur. This keeps your organization safe, secure, and running smoothly. 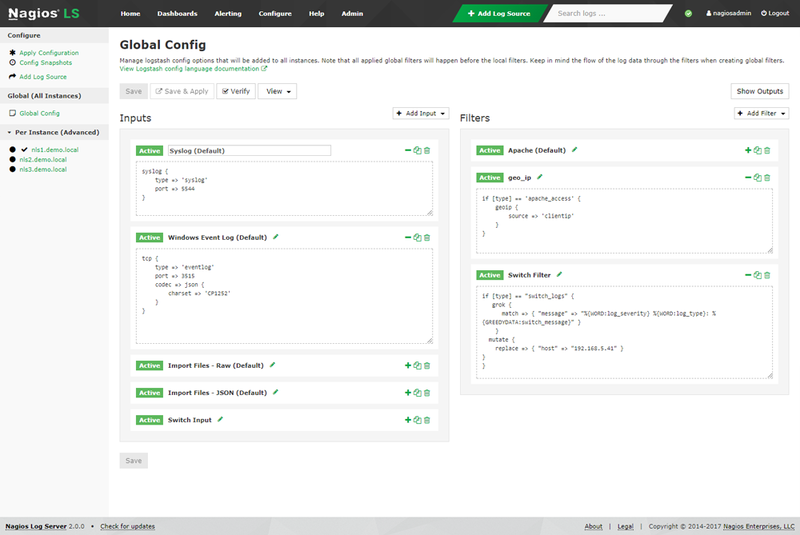 Nagios Log Server has a fully accessible API allowing for complete integration to fit the needs of your external applications. 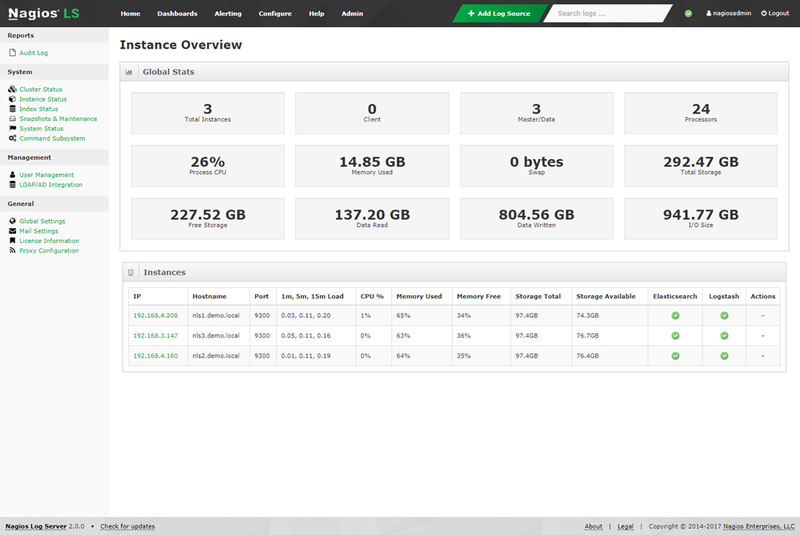 Nagios Log Server easily integrates with third-party solutions or your current infrastructure. Nagios Log Server is a premier solution that’s perfectly designed for security and network auditing. 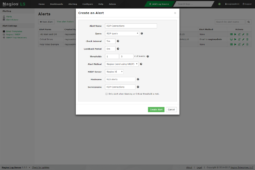 Easily create alerts from the web-interface based on queries and thresholds most important to you. Notify users via Nagios XI / Nagios Core, email, SNMP traps, or execute a script to ensure quick problem resolution. Nagios Log Server lets you dive into the issue to help you find a solution. Additionally, Nagios Log Server can keep historical archives of all events should a security audit be needed, keeping your organization in compliance with security requirements. Multi-user capabilities allow IT teams to work together efficiently. Admins can add, modify, and remove users, as well as set access permissions. Admins can also grant specified users access to the external API via an access key. A powerful GUI provides for customization of layout, design, and preferences on a per-user basis, giving your customers and team members the flexibility they want. Users can create custom dashboards in the web-interface to see quick views of data most important to them. Users can also easily share dashboards with a custom URL to enhance team collaboration. 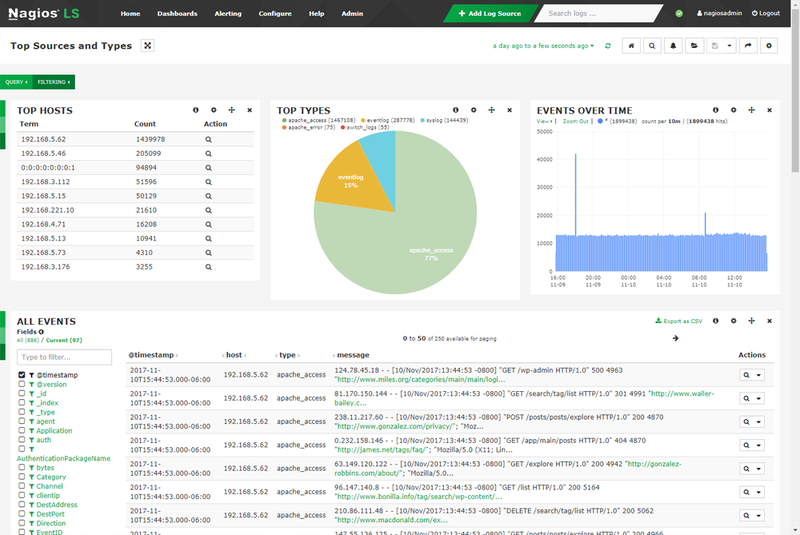 Nagios Log Server provides users with advanced awareness of their infrastructure. 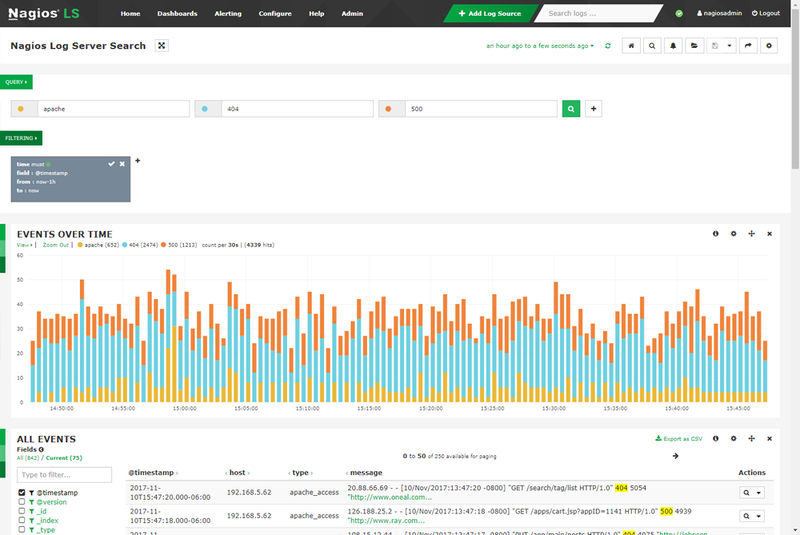 Dive deep into network events, logs, and security events. Use Log Server to provide the evidence necessary to track down security threats, and quickly resolve vulnerabilities with built-in alerts and notifications. Comprehensive Dashboards A powerful dashboard system provides users with the ability to query, filter, and analyze incoming log events. High Availability & Failover Log Server uses a cluster of servers to store log data to prevent data loss and ensure the availability of your log information. Alerting Create alerts based on queries with specific thresholds and send them to proper team members. Setup Wizards Receive log data from a designated source with just a few clicks using easy to follow step by step instructions. Quick Search & Query Search with multiple queries and filters allowing you to quickly drill down to the exact problem you are searching for. 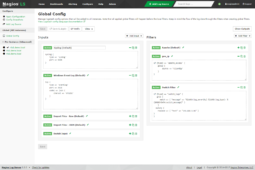 Extendable Architecture Admins have full access to the back end API allowing for limitless customization with in-house and third-party apps. Real-Time Data See log data from all of your servers in real time, allowing you to analyze and solve problems as they occur. Highly Scalable You can easily add additional cluster instances to give you more power, speed, storage, and reliability. Intended for very large datasets that require reliable and foolproof storage. *Any limitations depend on your hardware capabilities. There are no arbitrary limitations placed by our software. We believe that your data is yours to control. How is Nagios Log Server licensed? Nagios Log Server is licensed based on the number of cluster Instances you implement in your environment. A Nagios Log Server system is comprised of any number of cluster server Instances. Each Instance communicates with other instances to both replicate/backup your data as well as load-balance your system to maintain an efficient log monitoring system. What support options are available for Nagios Log Server? Nagios Log Server is supported by our team of professionals. Forum and email support are included in the base license price for Nagios Log Server. Optional phone support contracts are available to customers who require additional support services. Am I limited on how much data I can store? No! Nagios Log Server, unlike many of our competitors, allows you to have full access to all of your log data no matter what your license level. We don’t believe in charging you for your own data. We don’t think it’s fair. Your only limitation is the hardware/VM that you put Log Server on, but with Log Server’s ability to quickly scale to your environment, your monitoring needs are always met. Can Nagios Log Server be deployed to physical servers? Yes! Manual installation of physical servers is recommended. The server must be RHEL or CentOS. We also distribute Nagios XI as a virtual machine to allow you get it up and running quickly. What is an instance? How many do I need? Nagios Log Server systems are based on a clustering model. Each server in the cluster is called an Instance. Adding an Instance to your Log Server cluster allows you to balance server load, create a redundant copy of log event data, and scale Log Server to meet your environment’s needs. Keep your data highly available and redundant with additional Nagios Log Server Instances. Each instance in the cluster shares in the workload of indexing and querying your data. A minimum of 2 instances is recommended to provide redundancy and resiliency. Is there a free edition of Nagios Log Server? Yes! Nagios started in the open source community and we hold strong to our roots. 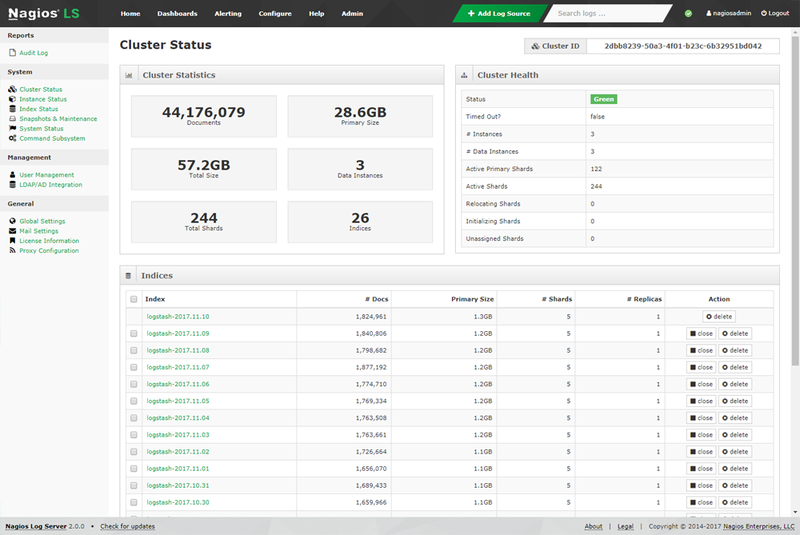 Nagios Log Server is free to use for up to 500MB of log data per day. This makes it easy to monitor small environments or to try it in your environment before you buy it! 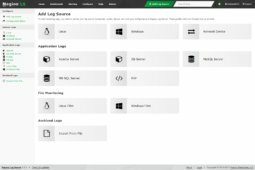 What types of logs can be sent to Nagios Log Server? Right out-of-the-box, Nagios Log Server is configured to be able to receive Windows Event Logs, Linux syslogs, and Network Device Syslogs as well as log information from any Windows and Linux machine. 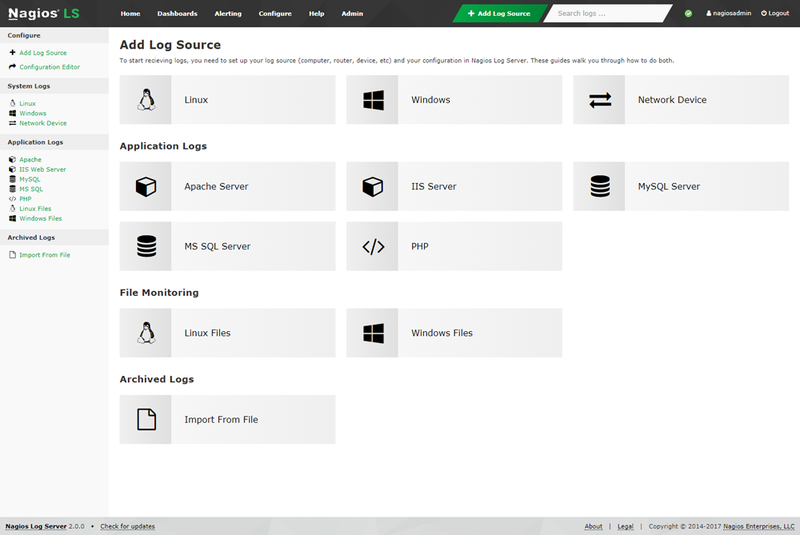 Additional log types can be added through the easy GUI configuration wizard. Basically, if there’s a log you want to monitor, Nagios Log Server can receive it for further analysis. 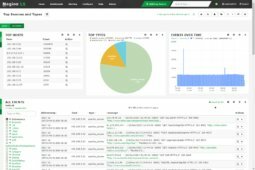 What does Nagios Log Server use to store and collect data? 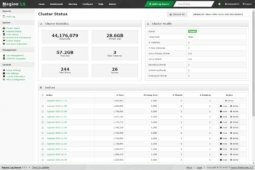 Log Server utilizes the open source tools called Elasticsearch as well as Logstash for the cluster formation/storage and log data collection system respectively. Have other questions related to Nagios Log Server? Feel free to contact us and we’ll get you the answers.